Ms Yau Su Peng currently holds the position of Director, Retail and Innovation at Berjaya Corporation Berhad and oversees businesses in the sectors of education, digital transformation and innovation. 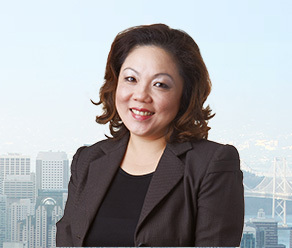 Ms Yau has a wealth of experience in retail, financial payments, law, marketing and communications from both the government and private sectors. She served as Alternate Director to Dato’ Sri Robin Tan Yeong Ching from 25 April 2012 to 23 November 2012 and was appointed to the Board in November 2012 as a Non-Executive Director. She was re-designated as Executive Director in October 2014 and is also a member of the Banking Committee. She joined the Berjaya group from MasterCard Worldwide, where she was Vice President of Marketing and Sales. She qualified as a lawyer from the University of Melbourne, and originally practiced law in both Melbourne and Kuala Lumpur. In the 1990s, while completing her Masters of Laws degree, Ms Yau worked with the Government of Victoria on attracting international trade and investment into the state. In 1997, she returned to Malaysia and held several roles within the banking industry in change management, corporate affairs and branding. Subsequently, she became the Senior General Manager of Strategic Communications for Alliance Bank, building the brand from a merger of 7 Malaysian banks in 2000.